During the 19th century, landscape painting was a popular form of expression for artists to celebrate mankind’s dominion over nature. Pastoral scenes of manicured lawns, tamed gardens and ripe harvests depicted a peaceful, almost perfect world where man and nature thrived in harmonious union. Currently on view at Descanso Garden’s Sturt Haaga Gallery, “Farewell, Eden” presents us with a much different perspective. Now that our ecosystem has been severely compromised after years upon years of so-called human progress, our old, romantic notions about nature no longer apply as an accurate representation of our planet’s health. 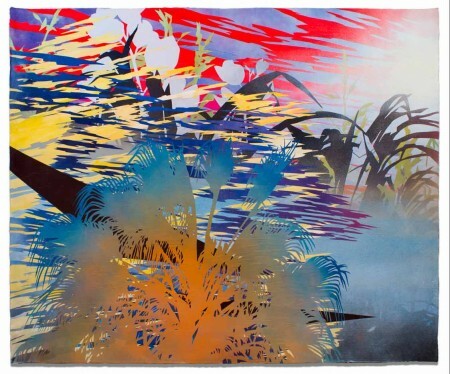 Comprising 62 pieces by 13 Los Angeles based artists, “Farewell, Eden” poignantly articulates this reality across three gallery spaces, each of which afford viewers visual contact with the surrounding gardens. One of the first works encountered is Lynn Aldrich’s sculptural wall piece, Losing My Lagoon (2014). Spanning 32 inches, the piece expresses a fantastical interpretation of marine flora and fauna. Assembled from a mashup of cleaning utensils such as sponges, mop-heads, and plastic gloves, Losing My Lagoon speaks to our pressing need for water restoration. 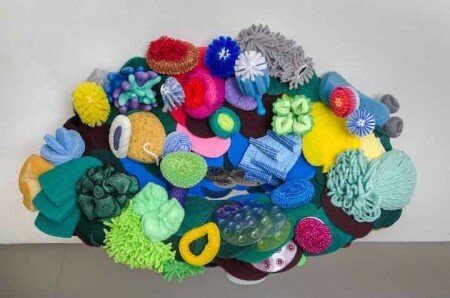 Colorful mop-heads peer out like spindly sea urchins, round plastic scouring pads repose like sleeping sea anemones, and a number of colored sponges mimic, well, sponges. More than a call for trash free seas, the sculpture also accentuates our reliance on free flowing fresh water, now an endangered resource. When viewers stop to look down and into the sculpture, they will notice several steel drain covers, set within the work’s center. These, along with the sculpture’s shape and placement on the wall, irresistibly evoke the image of a sink, which ultimately amplifies Aldrich’s message by linking our ecosystem’s health to familiar objects in our daily lives. Aline Mare is another artist who examines the ever-morphing relationship between the organic and artificial by weaving together digitally scanned imagery that she alters and reworks to create richly layered prints that seem almost ethereal. Among five of her works on view is Coiled (2013), which comes from a series Mare based around found objects she collected along San Francisco’s shoreline, where the city’s ominous footprint converges with nature. The print’s focal vector is a contorted spring, dislodged, perhaps, from an old mattress or recliner. 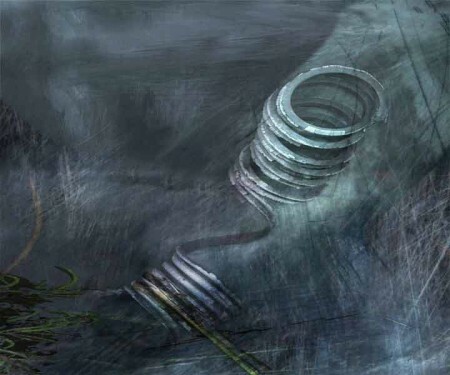 Obfuscated by shadowy smears and erasures along with hundreds of spontaneous fine yet rigid markings, the spring could be floating, somewhere beyond the earth’s atmosphere. A faint grass-like wisp, coiled around its base, however, seems to be pulling at the spring, grounding it to our natural world as if to say, we must learn to exist together. Like Mare, Devon Tsuno’s uses his practice as a vehicle to convey nature’s uncanny capacity for adaptation when exposed to urbanization. Three of his works are executed on handmade Japanese Washi paper. 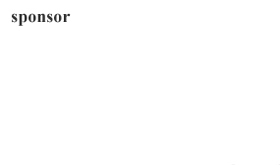 Agglomerate Horticulture (2013) is the largest, spanning 64 by 82 inches. 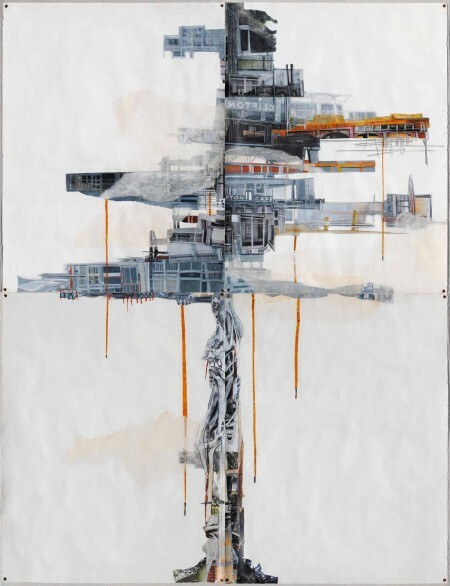 The piece comes from Tsunos’ recent “Watershed” series, which focuses on water sources, such as the Los Angeles River. Within a matrix of patterned abstraction, outlines of palm fronds and spindly yucca plants merge into zigzagging hard edges that evoke the imagery of both rippling water and a cloudy sunset. Layers upon layers of aerosol and acrylic paint, applied by stenciling and masking only add to the work’s sense of depth and complexity. Like an historical account that has been altered, erased and then rewritten, the richly textured surface of Agglomerate Horticulture reads much like a metaphor for nature’s ever-morphing ecosystem when exposed to urban influences. Also on view are three of Jennifer Gunlock’s large-scale, mixed-media works. Mysteriously intriguing, her work commingles elements of the urban world with tree-like formations that, together, produce eerie, futuristic landscapes. Sequoia (Mothership) (2014) is exemplary; against a stark, white background, the work’s central image emerges like a barren tree stripped of its leaves with the approach of winter. Upon closer inspection, however, viewers discover hidden intricacies within the structure’s branches. Black and white photographs of old storefronts and street cafes are piled together among rows of rectangular shapes depicting real and imagined architectural features. While the allusion to urban decay is understood, as is the impact of years of human intervention, Sequoia (Mothership) isn’t just a grim picture of man’s ruin. Rather, it reflects nature’s enduring capacity for adaptation, which can only sustain if we work together to preserve that which we haven’t already defiled. Other artists featured include Jane Brucker, Carlee Fernandez, Mark Steven Greenfield, Dee Hibbet-Jones, Carmine Iannaccone, Gloria Kondrup, Nadege Monchera Baer, Elizabeth Saveri, and Amir Zaki. Curated by John David O’Brien, “Farewell, Eden” is an important exhibition. As enticing as it is evocative, the broad range of work by this select group of artists beautifully articulates today’s collision between human advancement and the formerly wild, as well as our urgent need for conservation. “Farewell, Eden” runs through April 3rd and is presented in collaboration with another, similarly themed show entitled “Urbanature,” running at the Art Center College of Design’s Williamson Gallery in Pasadena.